1. Preheat the oven to 190C/Gas 5. Line 12-hole muffin tray with paper cases and set aside. 2. Beat the coconut butter and sugar together in a bowl until light and creamy. Beat in eggs until well combined. 4. Spoon the mixture into the muffin cases and bake for 20-25 minutes, or until well risen and lightly firm to the touch. Remove the cakes from the tin and set aside to cool on a cooling rack. 5. 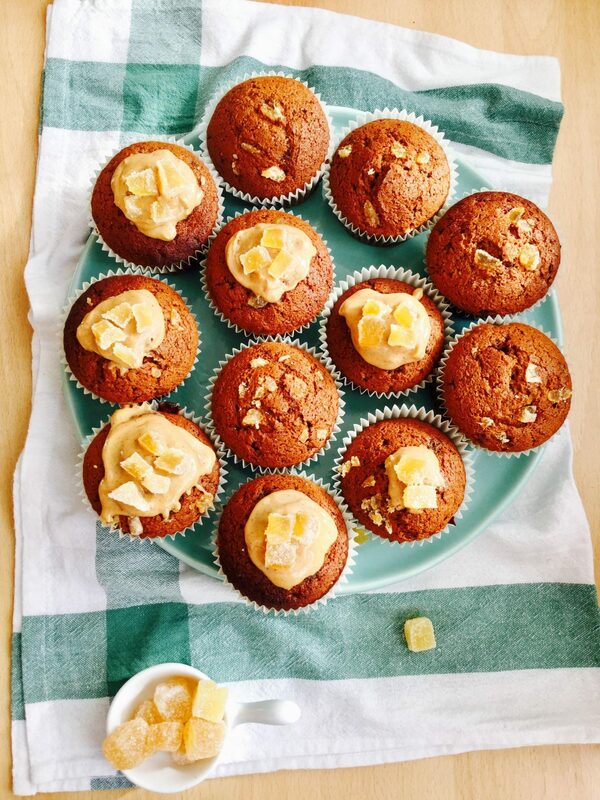 Decorate your cupcakes with you smooth peanut butter topping and a couple pieces of the crystallised ginger, enjoy!